This garden power tool has many names depending on where you live in the world, but one thing is sure, it certainly beats a hedge shears for trimming and edging! Like most power tools nowadays, they are available in gas, electric corded and rechargeable battery cordless versions. The machine was invented in the early 1970s by George Ballas of Houston, Texas. 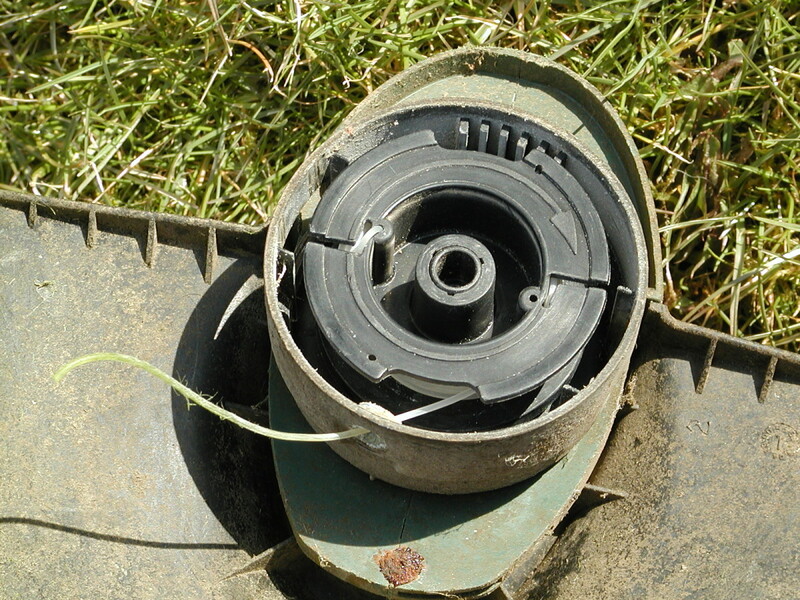 He attached fishing line to the head of a lawn edger and was able to cut grass and weeds with his concoction. The tool works on the principle that a line spun at high speed becomes stretched and taut due to centripetal acceleration. The tension in the line makes it stiff and the inertia of the line gives it the energy to cut. So basically it is like a spinning whip. This hub shows you how to wind the spool, and cut, without breaking the line! If you find this article useful, please share it on Facebook or other social media using the easy share buttons. Wear PPE (Personal Protective Equipment). The most important thing is to protect your eyes because even a small piece of snapped line, or debris such as a pebble travelling at 200 to 300 mph has the potential to cause a severe eye injury. I usually just wear goggles but have been hit on one occasion by a piece of grit which cut my face. So ideally use a visor which provides total face protection. Don't wear shorts or sandals for obvious reasons. Heavy trousers will give some protection if you get hit by debris (even though you will still feel it!). Wear safety shoes which have steel caps and soles, as these will protect your feet if you walk on glass, metal, nails or other nasty stuff while working in an overgrown area. When cutting, angle the trimmer so that cut material is thrown away from you. Finally wear ear muffs to protect your ears as long term exposure to loud sounds can cause hearing damage. Take Care of Cables. Take care not to hit the cable while using an electric trimmer. Electric trimmers are less powerful than gas versions and the line probably wouldn't cut the cord, however it could damage the insulation. Watch Out for Bystanders. People standing near you are more likely to be hit by debris than yourself. This is because debris may be travelling on an upwards trajectory and eventually reach eye level by the time it reaches the other person. 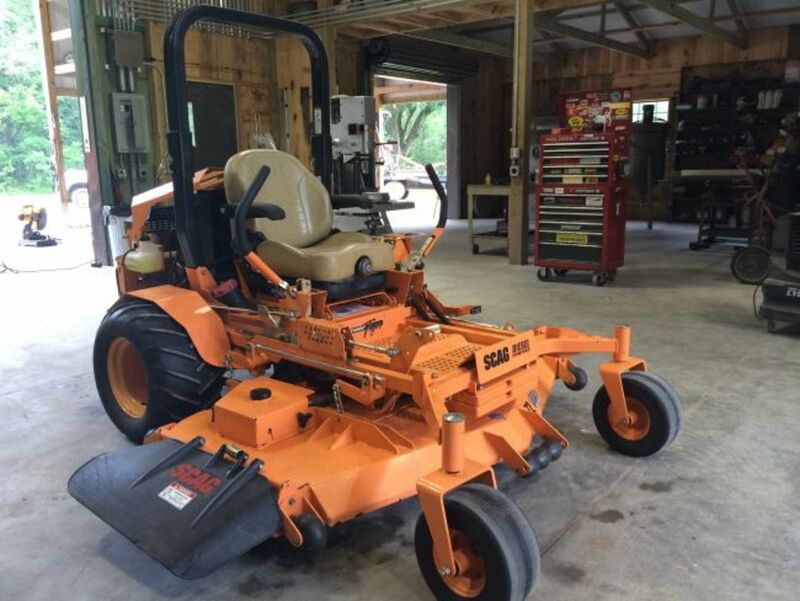 This is especially the case if you are trimming or using a lawn mower on elevated ground. So pause your work until they have moved away. 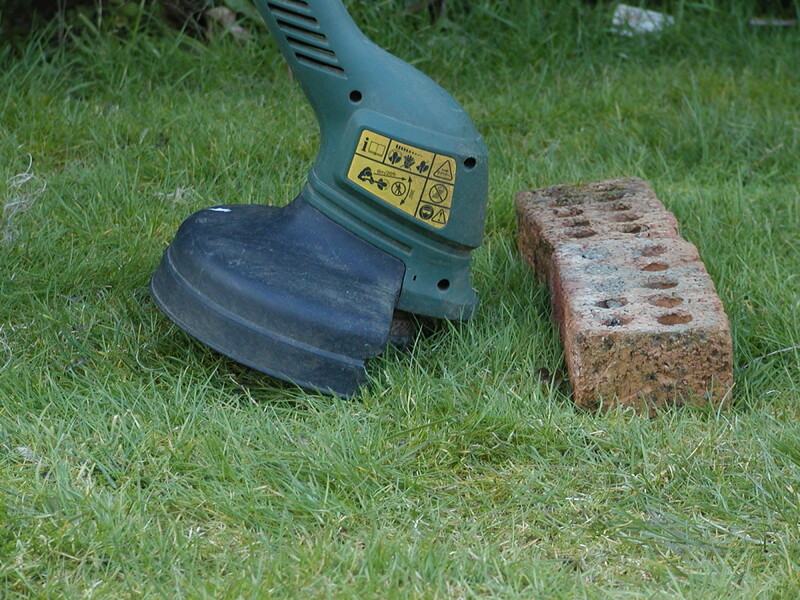 Debris thrown by a trimmer can also ricochet off hard surfaces. Young children should never be in the vicinity when you are using powered garden equipment. 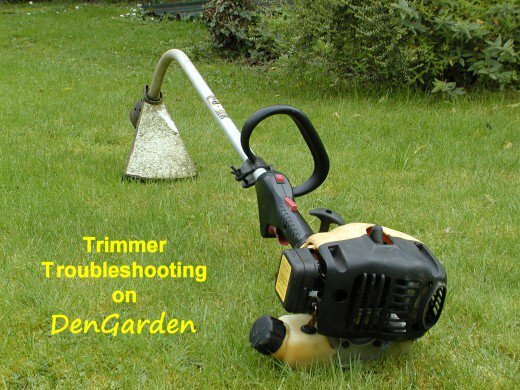 Most trimmers have two stroke engines which don't have a sump filled with oil for lubrication (four stroke trimmers however are available). So lubricating oil must be mixed with gas before filling the tank. In general, the oil to gas ratio for a 2-stroke engine should be 1:50. This equates to 20 ml per liter or 2.6 US fluid ounces per US gallon. Some manufacturers recommend a 1:25 ratio for their engines so check your manual. 1:40 or 1:30 is probably a good compromise. You can buy small bottles of two stroke oil which are sufficient to make up about a gallon or 5 liters (litres) of mix in a gerry can. Alternatively you can buy larger liter or quart bottles of oil. Oil can then be measured out into a graduated measuring cup or any other suitable container which you know the volume of. Add the oil to the gas can and then swirl it around to mix thoroughly. It's probably a good idea to wipe out any remaining oil from the measuring cup with a paper towel, otherwise all sorts of dust and dirt, spiders and insects will have stuck to the oil by the time you use it the next time. Don't use 4 stroke motor oil in your engine. It contains additives which can contaminate the cylinder over time and also it can tar up the piston. Two stroke oil is designed to burn as cleanly as possible with the fuel. What Type of Line Do I Use With My Trimmer? Trimmers make use of a monofilament nylon line for cutting. You can buy this line in spools or rolls of varying lengths and cut it to size. Lower powered electric trimmers are normally used with fairly light gage line, about 1.5 mm / 0.06 inch (about 1/16 inch). This is fine for trimming light grass growth around curbs, edges of lawns and flower beds. 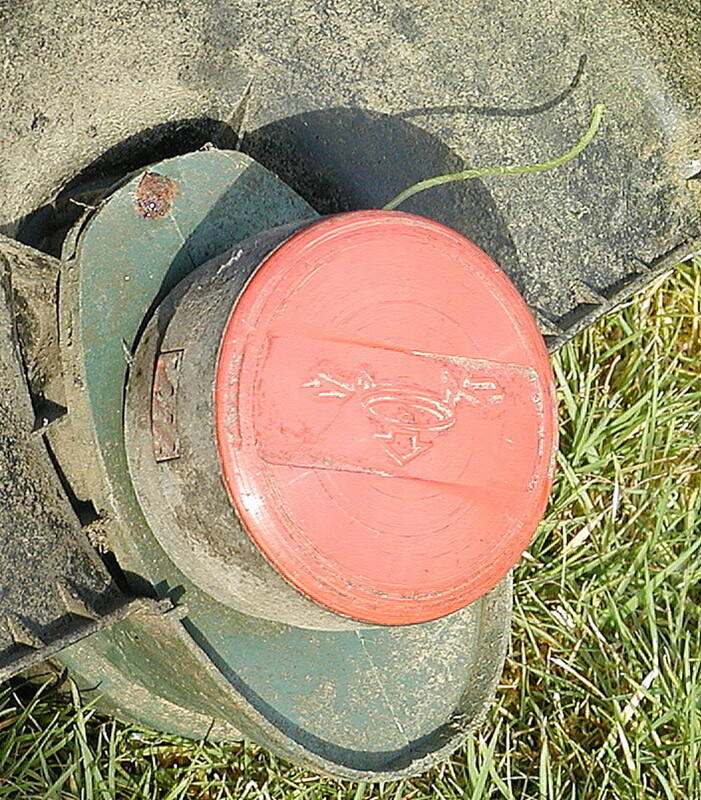 Higher powered gas trimmers can also be used with light gage line, but for cutting thick vegetation in overgrown areas such as long grass, nettles, docks and other weeds, heavier gage line is pretty much essential to avoid breaking or tangling the line. This is available in sizes up to 4 mm / 0.16 inch (about 3/16 inch ). You can also buy line which has a square profile rather than round, and supposedly the "corners" cut better. I use a 2.4 mm line (about 0.1 inch) with my gas trimmer, which is a low cc model, and it gives good results with light and small amounts of heavy growth. Thicker gage line requires a correspondingly higher powered trimmer so that the head can spin sufficiently fast without the engine struggling and slowing down in thick vegetation. As always, its better to consult your manual to see what the manufacturer recommends. 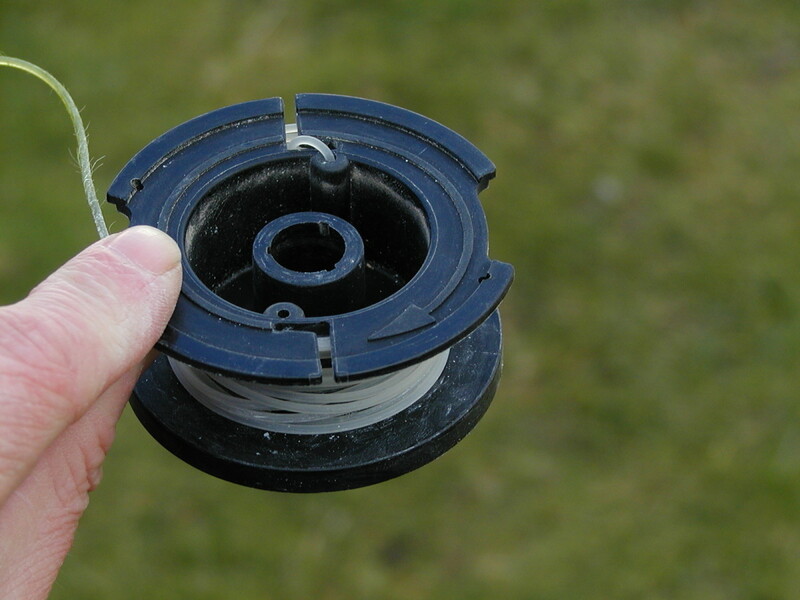 Make sure the end of the line is fully attached to the spool by feeding it through the thread hole or guide designed for this purpose. The line should then be wound tightly and evenly around the spool in the direction of the arrow (pull the line tight to tension it as you are doing so). If the line is wound slackly, excess line will feed out of the spool during an auto feed, or when you bump the cutting head to release line, and just end up getting snapped off by the knife on the guard of the trimmer. Neat winding helps to ensure that line feeds out ok and doesn't bind. You don't have to be overly fussy about this. Just make sure all the line isn't bunched up at one end of the spool or is very loosely wound around it. With some trimmers, the cutting head must be bumped down onto the ground to release new line. Other models auto-feed as line is used up. In any case, a cutting knife at the perimeter of the guard on the trimmer keeps the line trimmed and prevents it hitting or extending beyond the guard (which will slow or stall the machine and create a hazard). This knife should be sharp, otherwise it won't cut the line. If you notice this problem, you can sharpen it with a file, sharpening stone, or angle grinder. Check your trimmer to see whether it is compatible with this diameter line. 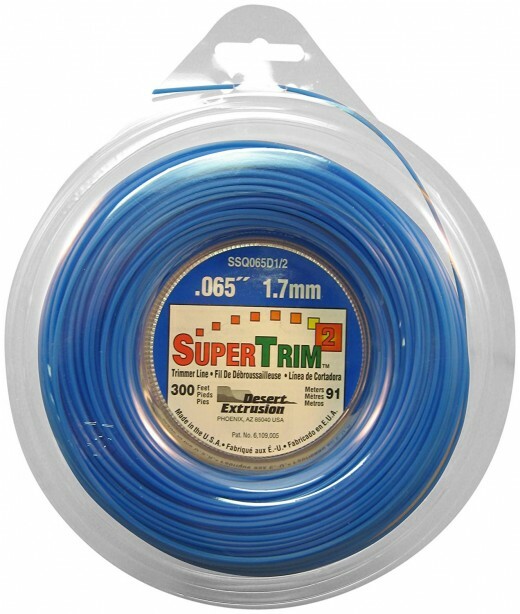 Home-owner grade trimmer line by SuperTrim from Amazon. This line is lighter gage 0.065 inch (1.65 mm) and more suitable for electric trimmers. 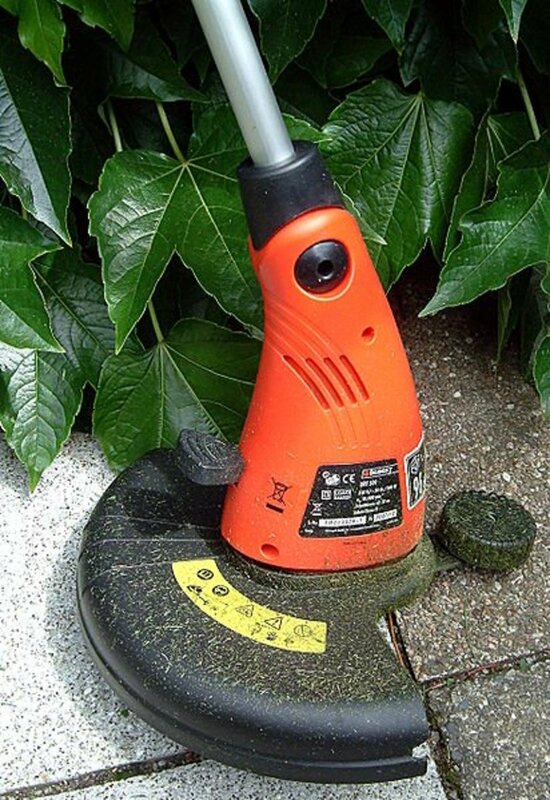 You can use it with a gas trimmer, but it will snap and get used up quicker when cutting heavier vegetation. 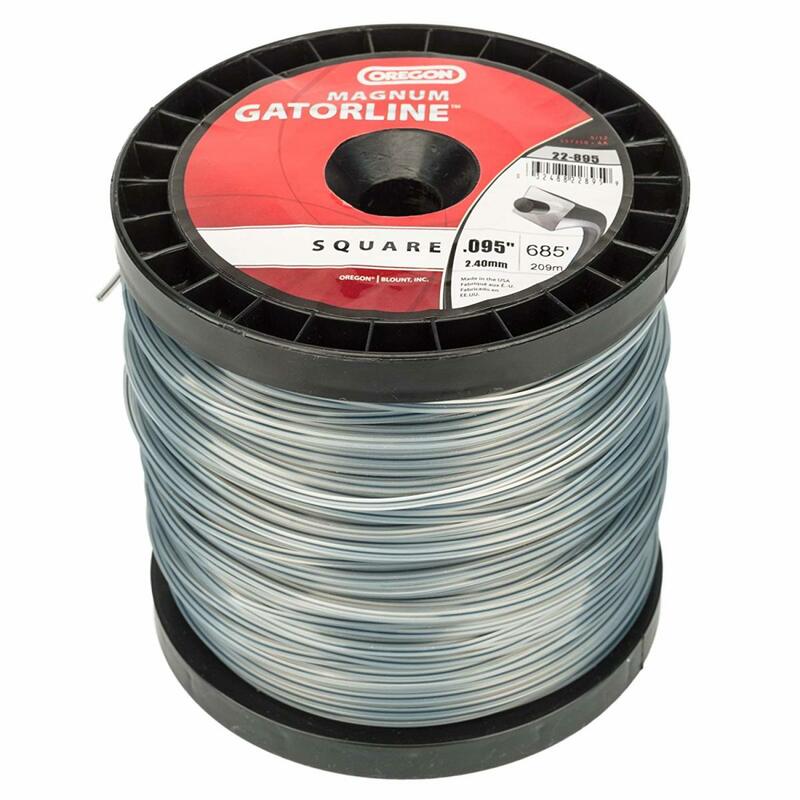 Thinner line is more suitable for cutting light growth and trimming around flower beds and curbs. 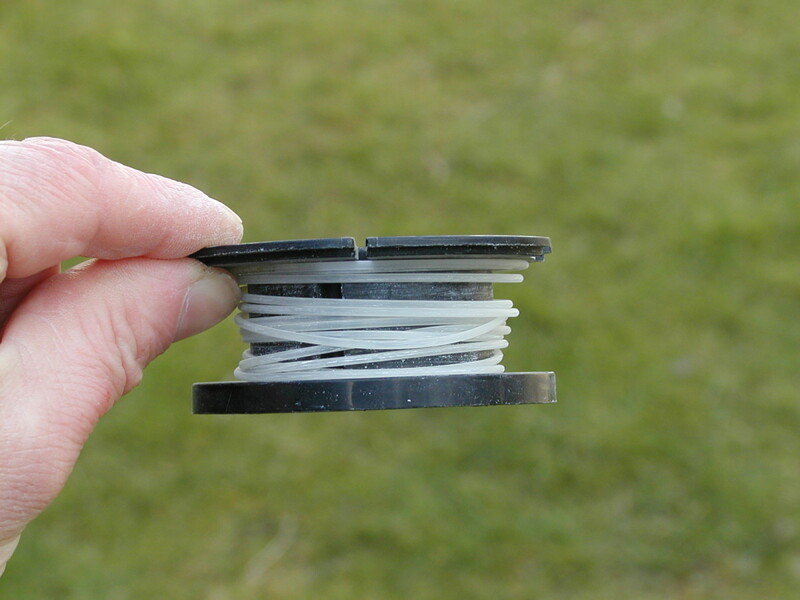 Check your trimmer documentation to ensure this diameter line is suitable. The line generally turns anticlockwise (viewed from above), so when it's to left of the cutting head it's heading towards you and when on the right, it heading away from you. So if you're cutting anything to the left of the trimmer, it'll be thrown towards you. 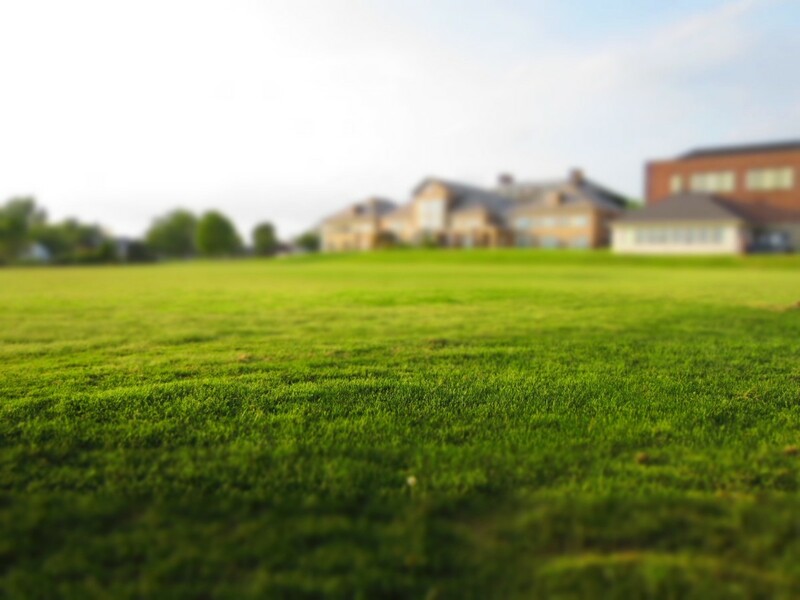 The guard will catch some grass, but not all. Try to move the trimmer in an arc so that you cut with the tip of the line when it's furthest away. That way, grass will be thrown perpendicular to the trimmer. 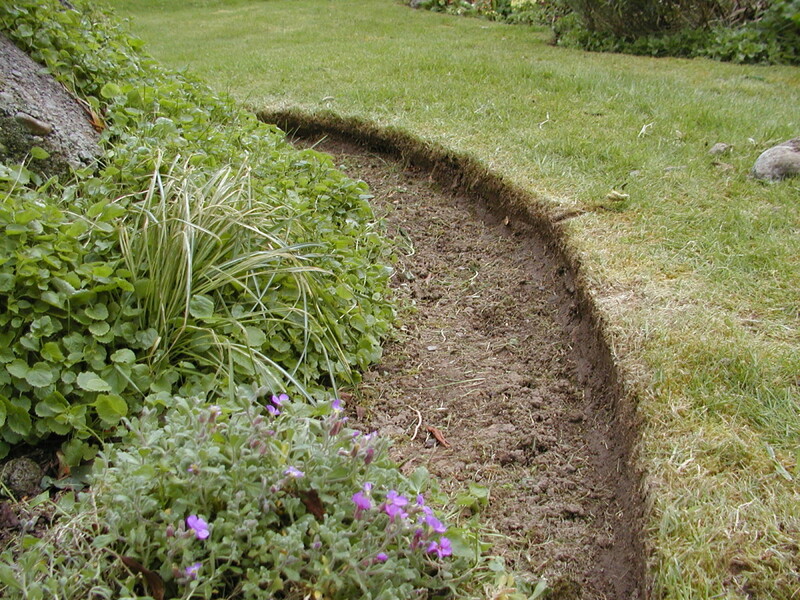 I maintain a sort of "kerb(curb)" effect at the edges of my flower beds, and the soil is lower than the lawn and slopes upwards and backwards (see photo below). 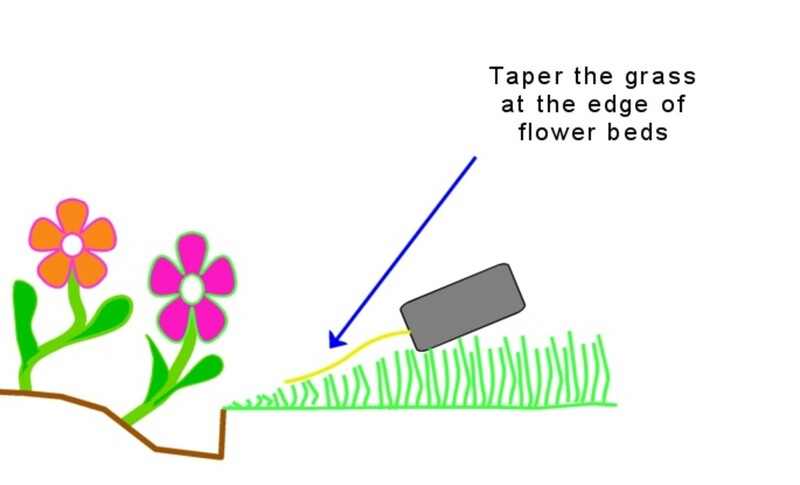 This makes it easy to trim the grass at the edge of the lawn when it gets ragged. In this case, the trimmer is first used in the normal horizontal mode to taper the grass level to the edge of the bed, which looks better. Next switch to vertical mode so that the line is perpendicular to the ground as shown in the video below. Trimmers are produced by all the well known tool manufacturers. This includes Black & Decker, Qualcast, Flymo, Stihl, Husqvarna and many more. Although buying a well known brand doesn't necessarily guarantee a reliable or durable product, it does mean that spare parts are more easily sourced. Your choices are gas, electric or battery (cordless). In general gas powered models are more powerful, but high powered electric models are also available such as the Greenworks 21142. Greenworks 21142 model. This has a 10 amp motor (equivalent to over 1100 watt or 1 1/2 HP). The reason I like this machine is because the motor is mounted near the handle end of the shaft which helps to lighten the cutting head. Because it's electric there are no fumes and it's ideal if you you don't have the ability to pull start an engine. See also the comment by Dennis below. How do I get the head off my Stihl trimmer? It should be possible to remove it by turning clockwise. My brand new trimmer becomes very hot in a few minutes and then stops abruptly. When I restart it again functions but if I begin to cut again it stops and doesn't cut. It can only start but cannot cut. Please, what causes this? It is a brand new, and I've used it twice, but the same problem occurred. Firstly, if it's brand new, bring it back or send it back if you bought it online, because it'll be on warranty for probably a year. 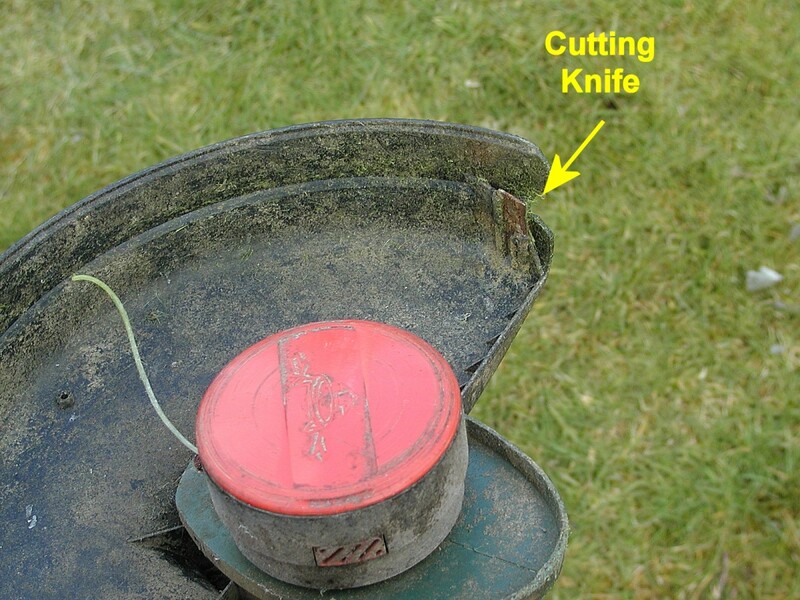 If you're trying to trim long grass, try not to push the trimmer too far into the grass as it can overload the machine and tangle up the head. Is this a petrol/gas machine? If so you need to use two stroke oil at a ratio of 1 part oil to 50 parts gas to lubricate the machine and stop it overheating and seizing up. If the trimmer is electric, is it suited to your voltage supply? A 110-volt trimmer used on a 240 volt supply will overheat and burn out or if you're lucky an overcurrent circuit breaker device on the tool will cut off power before this happens. How to pull the string out when it is cut? How much two stroke oil do I mix with petrol for my trimmer? In general, mix 1 part oil with 50 parts petrol (gas). However, some manufacturers recommend that you mix 1 part oil with 25 parts petrol. Consult your manual for details. Why does the nylon line get longer when using a string trimmer? If the trimmer auto feeds, it's possible that the mechanism is faulty and letting the line out too quickly. The cutter on the trimmer guard should cut the line in any case. Try winding the line a bit tighter and neater on the spool because if it's loose, it will feed out too much. 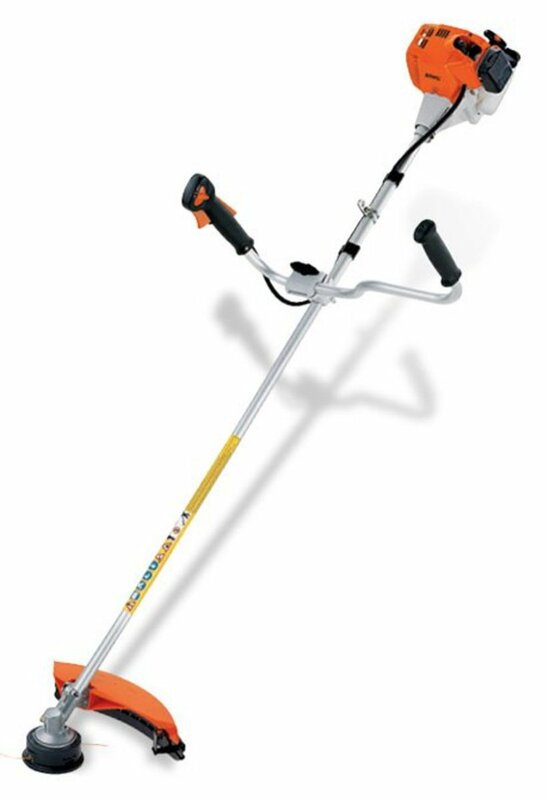 Can you use a string trimmer for cutting overgrown grass that's 2 feet tall? Yes, you can cut any height of grass. 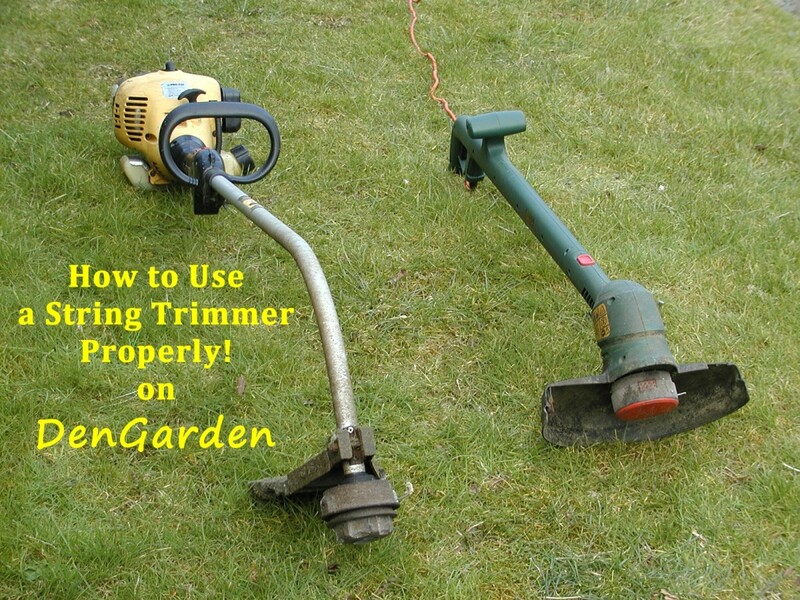 However, it's important not to overload the trimmer if it's low powered. Long grass may tend to tangle in the head so cut a bit a little at a time by moving the tip of the line slowly into the grass. Don't bury it in growth. Clear the waste out of the way as you work if you find it's tangling up in the cutting head. Head of a Stihl string trimmer stops moving and makes a bad noise. What could be the problem? It could be a couple of things. Possibly the clutch is worn or the clutch springs have broken. The clutch is located up near the engine. Also, the drive shaft may have broken or the section where the shaft joins with the head could be damaged. 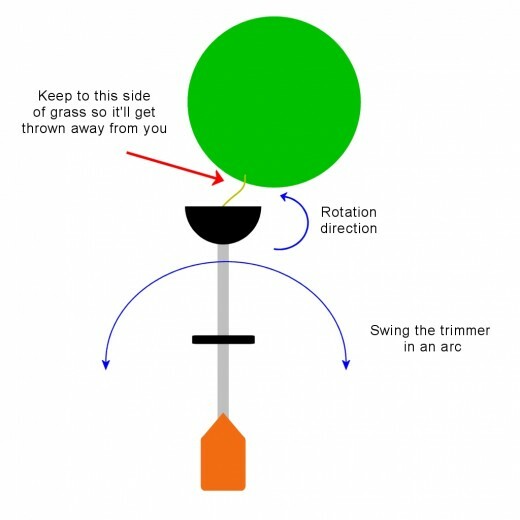 How do I prevent line fusion of a string trimmer? Try and wind the line tight and evenly. I've never tried it, but you could try spraying the windings with silicone spray. It's good for freeing hooks/rings on curtain rails, so it might also work for trimmer line. Everytime I weed eat the string breaks. I have to stop take the string out and put back in. I hate weed eaters. Thanks Geraldine. Some vegetation can be very tough with stringy fibres and a trimmer won't cut it, although a brush cutter, maybe one with a cutting disk, will do. The leaves of cordylines are really awful and will tangle up a trimmer line and wrap themselves around the head. Try winding the spool tighter. Check the end of the line is securely attached to the spool before you wind. The mechanism that releases the line (if it atofeeds or line can be fed out by bumping the head) may be damaged. 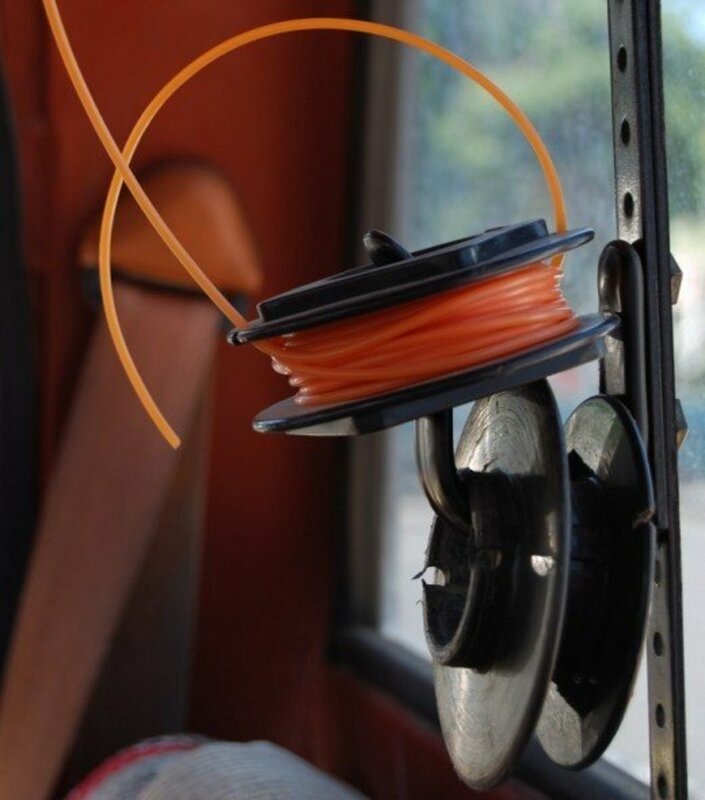 Check the spool is seated properly within any outer enclosure that the line passes through. Great! Thanks for sharing the info! These comments do help. I figured out why the line was hitting the guard. My trimmer's guard lost two of the three screws holding it in place, and it made the guard hang just a little bit too low. Bought a couple screws from the local hardware store for a few cents, installed them, and I don't dread doing yard work anymore! Hope it helps somebody in the future! Thanks for the help! Does the string auto feed? I presume you've tried to wind it tight and even as suggested, so excess line doesn't fly out and get cut off when it feeds. Have you wound it in the right direction around the spool? Usually there's an arrow indicating which way to wind. Also use a heavy enough gauge of string as recommended by Stihl. Light gauge line wears and snaps quicker. The only other think I can think of is that something's gone awry with the feed mechanism. Hi Eugene: Good article. Question: I have a heavier duty stihl. The lower string breaks quite quickly. It doesn't matter if I am going fast or slow, in heavy vegetation or light. I end up with a lot of the lower second string still on the spool, when the top is gone, and mostly, I'm cutting with one string. Two strings would be better. I haven't found anything obvious that would be cutting the string. Suggestions? The line should be on the same plane as the cutter so that it'll always cut it. What if the line points upwards, and hits the guard? The line is already shorter than the cutter can reach. There should be a cutter on the edge of the guard that trims it to size. If you find that the line is always flying out and hitting the guard, it may be too loosely wound on the spool. When winding, try to keep it even plus wind tightly as shown in the video. The line keeps hitting with the plastic guard and makes an awful noise. is that good? 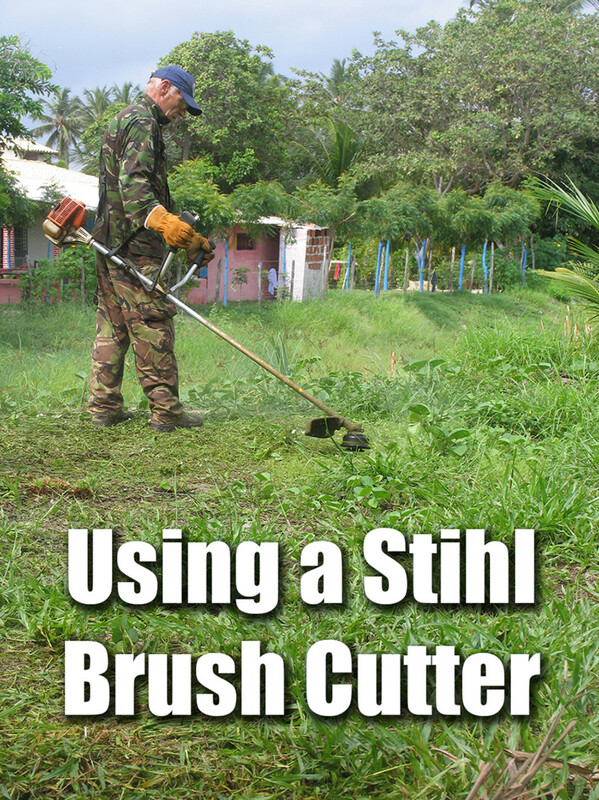 Some brushcutters are fitted with circular saw blades, brush knives, grass blades, etc. These cutting heads are suitable for cutting brush growth, i.e. thick woody stems. I don't know how effective they would be on grass and it's unlikely they could be used up close to herbs. Hi there. I would like to know if there is any trimmer I can buy without having to go through strings. Do gas ones have these things? I never had a gas trimmer outclass my greenworks 21142 at all. Quite the opposite. Even won a $100 bet against a gas one. When they figure how to make a battery powered one perform like a 10 amp corded trimmer with run time of gas, then gas trimmers will be a dead market. Hi John, I never thought of doing that because I've never had trouble with binding. Nylon is used for trimmer line because of its two desirable characteristics, high resistance to abrasion and low friction coefficient (i.e. it's slippery). If the line binds, it could be because the turns on the spool are wound too closely together. When winding, I try to space the turns widely rather than packing them closely together. However try to pull the line tight as you wind the spool to prevent excessive line feeding out as the head spins. I don't know whether oiling the line would be effective but you could try using a silicone spray which would be less messy than oil. However it's likely that centrifugal force would just throw lubricant off the coils as the head spins. Do you ever oil your trimmer line to prevent binding? Thanks. Hi Len, as outlined in the article above, try to cut with the tip of the line, don't bury it in vegetation or let it slap off concrete. 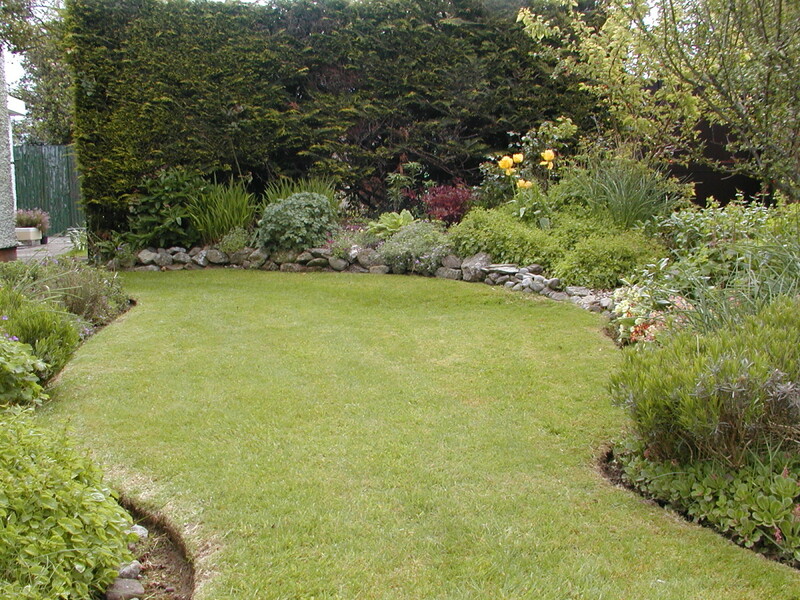 Don't let it wrap around shrubs and basically just ease it into vegetation when cutting. 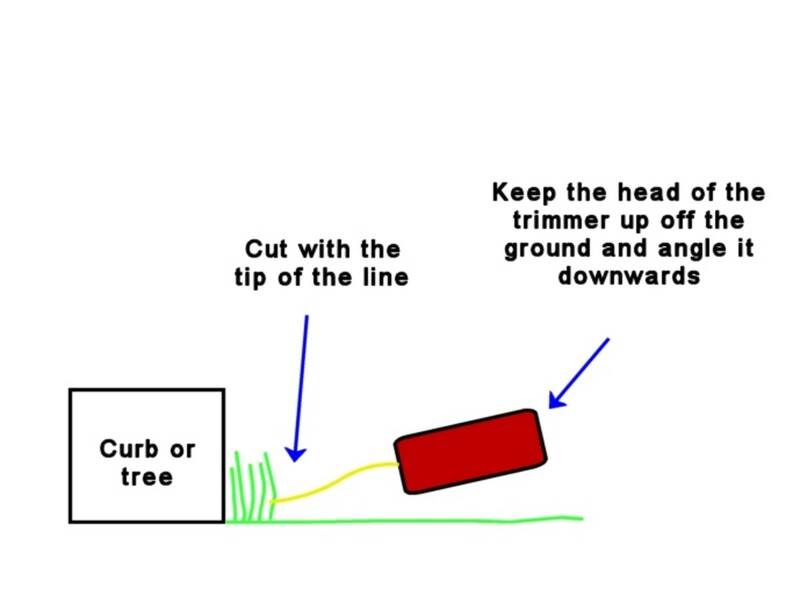 Thin line will wear and quicker when attempting to cut dense vegetation with an electric trimmer so just take it easy with it or try using a thicker line. I have used 2.4 mm (about 0.1") line with my Black and Decker and it lasts longer when cutting dense growth, however long term the heavier weight of the line probably isn't the best for the bearing of the machine (because it puts more load on it). Thanks Jodah, it can be frustrating when the line breaks, which is often due to over zealous use of the machine. Watch out for shrubs and trees also, the line can easily strip bark and stunt growth. This was a very useful article eugbug. It drive me around the twist having to continually replace line in my trimmer. I will take your advice and take more care to only use the cutting tip of the line and move into grass slowly a little at a time. Fabulous instructions and photos. 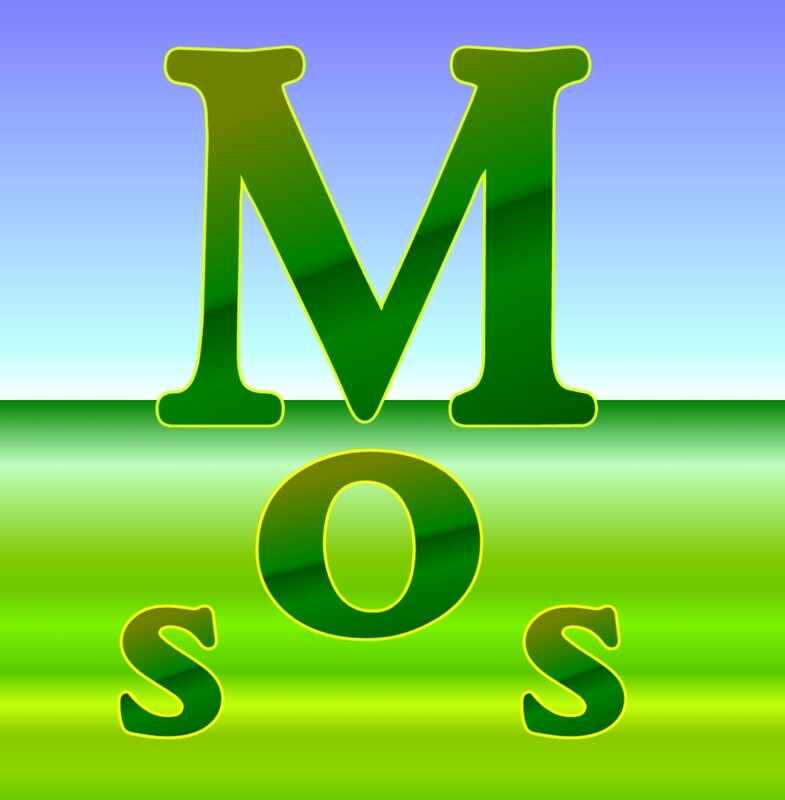 Best web pages I have seen showing so much detail, of tremendous help to me. Thank You. I can't ever get the string to bump properly. Thanks for helping with the angles. Hi tamron, thanks for the comments and dropping by! Well illustrated hub with easy to follow instructions for weed eating! Hi John. Thanks for the comment. We don't have to worry about grass cutting or trimming yet here. There's no growth yet because we're getting blasted in northern Europe by cold east winds from Siberia for the last month. A practical guide to trimming, eugbug. Thank you - you published it at the right time - when I'm looking for my trimmer in an overcrowded shed.